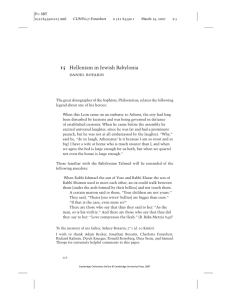 Hellenism in Jewish Babylonia - Near Eastern Studies, UC Berkeley. Yeshu (ישו in the Hebrew alphabet) is the name of an individual or individuals mentioned in Rabbinic literature. 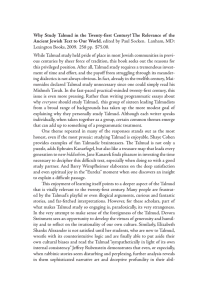 Modern scholarship generally considers the name Yeshu in the Talmud to be a reference to Jesus in the Talmud. The name Yeshu is also used in other sources before and after the completion of the Babylonian Talmud.According to the Babylonian Talmud (Sanhedrin 43a) the name is generally believed to be an acronym for י = Yimaḥ ש = Shĕmo ו = Wezikhro = meaning, May his name and memory be stricken out. 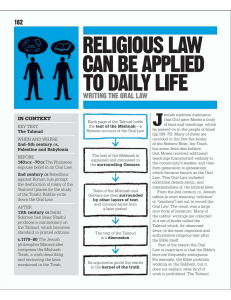 The oldest works in which references to Yeshu occur are the Tosefta and the Talmud, although some scholars consider the references to Yeshu to be post-Talmudic additions.During the Middle Ages, Ashkenazic Jewish authorities were forced to interpret these passages in relation to the Christian beliefs about Jesus of Nazareth. As historian David Berger observed,Whatever one thinks of the number of Jesuses in antiquity, no one can question the multiplicity of Jesuses in Medieval Jewish polemic. 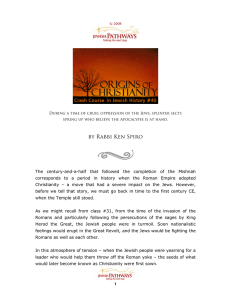 Many Jews with no interest at all in history were forced to confront a historical/biographical question that bedevils historians to this day.In 1240 Nicholas Donin, with the support of Pope Gregory IX, referred to Yeshu narratives to support his accusation that the Jewish community had attacked the Virginity of Mary and the divinity of Jesus. 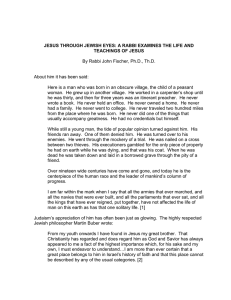 In the Disputation of Paris, Yechiel of Paris conceded that one of the Yeshu stories in the Talmud referred to Jesus of Nazareth, but that the other passages referred to other people. 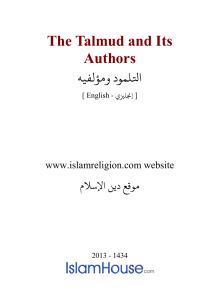 In 1372, John of Valladolid, with the support of the Archbishop of Toledo, made a similar accusation against the Jewish community; Moses ha-Kohen de Tordesillas argued that the Yeshu narratives referred to different people and could not have referred to Jesus of Nazareth. 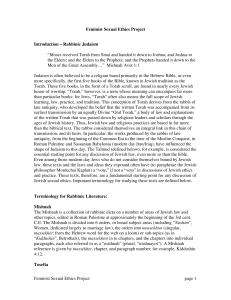 Asher ben Jehiel also asserted that the Yeshu of the Talmud is unrelated to the Christian Jesus.There are some modern scholars who understand these passages to be references to Christianity and the Christian figure of Jesus, and others who see references to Jesus only in later rabbinic literature. 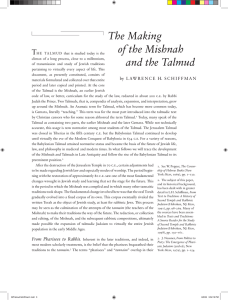 Johann Maier argued that neither the Mishnah nor the two Talmuds refer to Jesus.